We’d love your help. Let us know what’s wrong with this preview of Day of Honey by Annia Ciezadlo. To ask other readers questions about Day of Honey, please sign up. I loved, loved, loved this book. The book opens up in the USA, NY to be exact, right after 9/11. The author and her Muslim Arabic boyfriend were not all that popular with everyone at that time. But they marry and move to the Middle East, where the two report on war, peace, and food. You can tell the author is passionate about food- she writes about it like it is her lover. Like they have a secret, and she is trying to explain their torrid affair. I'm not kidding about this at all. She goes into d I loved, loved, loved this book. The book opens up in the USA, NY to be exact, right after 9/11. The author and her Muslim Arabic boyfriend were not all that popular with everyone at that time. But they marry and move to the Middle East, where the two report on war, peace, and food. You can tell the author is passionate about food- she writes about it like it is her lover. Like they have a secret, and she is trying to explain their torrid affair. I'm not kidding about this at all. She goes into detail about the origins of recipes, of words, of techniques. It's wild how deeply involved this woman becomes in untangling the web of food she finds herself in. Of course, all cultures revolve around food. We all think our culture is the one that does this. But EVERY culture thinks they are the one that revolves around food. The truth is- we all do, and Annia is kind enough to point that out. Every culture has their own cuisine and their own culinary traditions. The author goes on a culinary journey and learns the importance of "eating the meal" to learn about how people live life. She does this while learning to cook and create the recipes herself, all while bombs are flying and people are being kidnapped. Her husband, a picky eater and for sure the yin to her yang, does not seem to enthuse much in this area. But his mother is a HUGE part of the book- the relationship between Annia and her mother in law takes over at times, but the food is always number one. I have only begun to cover the book- war, protests, murder, assassinations, Saddam Hussein, dining with sheiks, her many friends and their lives- what ISN'T in there? Very intimate and honest book, one of the best I ever read about the conflicts in Iraq and Lebanon. Having lived in the Middle East this book brought me back good memories of places, good friends and the wonderful food we shared. Loved this book. No easy way to categorize or explain it, but I was moved to want to copy out sentences here and there where I felt she, the author, captured something I have known in life but that is hard to capture in words. The author presents herself in some ways as an aggressive,talkative extrovert but her writing is understated and reflective in ways that I appreciate. I was surprised when I saw her book jacket photo-- the only thing I didn't like about the book-- in the photo I saw a youn Loved this book. No easy way to categorize or explain it, but I was moved to want to copy out sentences here and there where I felt she, the author, captured something I have known in life but that is hard to capture in words. The author presents herself in some ways as an aggressive,talkative extrovert but her writing is understated and reflective in ways that I appreciate. I was surprised when I saw her book jacket photo-- the only thing I didn't like about the book-- in the photo I saw a young woman, a bit arrogant or sulky, but no sign of the humor, sensitivity, finesse and generosity that I came to know reading this memoir-- (which proves one can't judge much by someone's photo). The author is a freelance journalist, and I grew to trust her observations and was pulled into her experiences, ones I can never hope to have. She weaves in the story of Gilgamesh at one point, at another, the source of the Sunni-Shiite split, something I've read elsewhere but never been able to retain, alongside personal experience of escalating tensions in Iraq and later Beirut. It is an autobiographical story of food, love, and history, and family. You understand how food makes a home, with every detail of delicious sounding meals and their contexts, alongside the recent detailed ssnippets of histories of Beirut and Bagdad-- of civil strife, of war, of family, of love, and of how people carry on and continue to live their lives no matter what the circumstances. And all of this is happening as she is falling in love, and then marrying her sweetheart, who happens to be of Lebanese Shiite origin, but is an American journalist. Somehow, it all works, without anything ringing false. The author does not force words or wrap things up into a narrative that makes things easy or too resolved. An excellent example, in book form of "show, don't tell." She shows and I'm so grateful to be able to go along under her cape, so to speak, to see, hear, and experience it all. "I went to the Middle East like most Americans, relatively naive about both Arab culture and American foreign policy. Over the next six years, I saw plenty of war, but I also saw normal, everyday life. I sat through ceremonial dinners with tribal sheiks in Bagdad; kneeled and ate kubbet hamudh on the floor with Iraqi women from Fallujah; drank home-brewed arak with Christian militiamen in the mountains of Lebanon; feasted on boiled turkey with mild-mannered peshmerga warlord in Kurdistan; and learned how to make yakhnet kusa and many other dishes from my Lebanese mother-in-law, Umm Hasane, who doesn't speak a word of English. Other people saw more, did more, risked more. But I ate more. Annia Ciezedlo's Day of Honey is delicious. As far as I can tell, the author is obsessed with food, war, words, and keeping things complicated - all of which appeals to me (even though I'm about as likely or able to set foot in a war zone as my little dog is likely to stop eating socks). Originally, I picked this book up as a possible source for one of my International Affairs courses - and then I got obsessed and despite the fact that it was a busy week at work and I was in the middle of radiat Annia Ciezedlo's Day of Honey is delicious. As far as I can tell, the author is obsessed with food, war, words, and keeping things complicated - all of which appeals to me (even though I'm about as likely or able to set foot in a war zone as my little dog is likely to stop eating socks). Originally, I picked this book up as a possible source for one of my International Affairs courses - and then I got obsessed and despite the fact that it was a busy week at work and I was in the middle of radiation treatments, I stayed up late and read and read and read. It was glorious. For some reason, I thought I had read this book already, and had preferred Anna Badkhen's Peace Meals. But, my friends, the two books are very different animals. Despite Badkhen's inclusion of recipes, her book is really about communion over food during wartime in Iraq, Afghanistan, and Uzbekistan. Ciezadlo's book is about food - cooking it, obsessing over it, eating it - as a way to understand a people, a place, and one's own self while living in Iraq and Lebanon. It's also an excellent source for learning the recent (and sometimes, not so recent) histories of both countries. I was especially impressed with her ability to present Lebanese politics in such a way as to make it at least nominally coherent - no easy feat, as any student of Lebanese history can tell you. Ciezedlo doesn't just visit war arenas and report on them. In this book, anyway, she settles in. She stays, becomes a part of the place itself, and so can offer insights that few other western reporters can. Although she made it clear that sitting around babysitting her mother-in-law and cooking increasingly complicated dishes while the 2006 war went on drove her to the brink of insanity, I found that section of the book revelatory. As she said herself, "Most civilians experience war... as tired housewives peeling potatoes, wondering all the while at the stupidity of it...Being trapped in the house with Umm Hussane forced me to experience the awful, humiliating tedium of war...what I had learned cooking with Umm Hussane: that WAS the real story. You have to eat the meal." This perspective is especially useful when trying to instruct privileged American college students who likely have only "experienced" war through the surreal mediums of Hollywood movies and video games. I highly recommend this book to anyone who likes food, eating, war, the Middle East, people who write well enough to make you take notes one minute and then laugh the next, or love stories. Just know that you'll be hungry the entire time you're reading it, and will likely sneak down to the kitchen in the middle of the night to stuff yourself with olives, hummus, pita and whatever other vaguely Middle Eastern food you can find in your fridge. It's worth every calorie. A description of her attempts to recreate recipes from basic home cooking is one I will never forget because it happened to me as well. 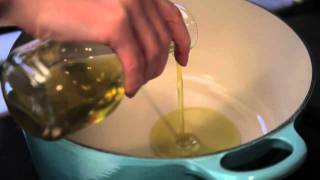 The “simplest” dish of onion, potato and egg can be an utter mystery if one has the proportion, the heat, or the order slightly awry. Ciezadlo’s search for an apartment with a kitchen in Beirut is epic and filled with irony, pathos, and humor. I now have an infinitely better idea of what it means to live in the Middle East. A memoir like this, filled with insight (and recipes! ), is a loving and important introduction to the Middle East. I know this is a very well written and very good book. I think it may even be a great book: where else could you find such a gritty, insider's portrait of two world hot spots (Lebanon, Iraq) at the very peak of their political turbulence? Annia paints vivid portraits of dozens, maybe hundreds of individuals in these countries, provides a context for them, and documents the searing toll that war exacts on the individual. On whole cultures. Food (whole recipes, meals and shopping for them) provide I know this is a very well written and very good book. I think it may even be a great book: where else could you find such a gritty, insider's portrait of two world hot spots (Lebanon, Iraq) at the very peak of their political turbulence? Annia paints vivid portraits of dozens, maybe hundreds of individuals in these countries, provides a context for them, and documents the searing toll that war exacts on the individual. On whole cultures. Food (whole recipes, meals and shopping for them) provides a lively and increasingly significant counterpoint to the truly infuriating state of sectarian politics that have enraveled, unravelled these nations (and, oh yes! the U.S.A) for so many decades now. Credit is do to Ciezadlo's journalistic skills that she makes the tense political state of these countries actually interesting to read about rather than merely depressing. It would be wonderful if this book one day could be published to INCLUDE (interlarded preferably through the text) the various articles Annia wrote at the time for the Christian Science Monitor, for the New Republic and other publications: it would be instructive to compare her professional journalism to the complex literary account she has made of her private life, that of her friends and associates, and the wonderful relationships she weaves with her husband, in-laws and myriad associates. At this point I should punctuate my review with heartfelt vignettes from the book--such as her mother-in-law in particular, the looming, brooding, dark figure of Umm Hassane who appears so regularly throughout the text, like a one-woman Greek chorus. Annia's love and admiration for Umm Hassane is manifest, and it's a good thing since this opinionated, domineering and witty old lady could have made her life hell. I particularly loved the scene where Hassane gives the armed Downtown Beirut Shiite Occupiers hell for wasting their time demonstrating. Hassane of course is just the Lebanese manifestation of the Mediterranean mother-goddess, and one gradually comes to realize (as her husband points out) that her svelte, American daughter-in-law is made of similar cloth. Unforgettable characters populate the text, but the real hero is food--the endlessly subtle and delicious Mediterranean Levantine cuisine--crops up repeatedly to save the day and salve the soul. I intend to test some of the sheaf of recipes bundled at the end of the book soon myself. You become convinced that food doesn't just sustain our bodies, but feeds not just our soul, but our very culture and perhaps could be our salvation if we only set our priorities straight. Annia's form of storytelling is one of my favorites: a coherent timeline dotted with memories and stories and various in I read this book for the 2016 Goodreads Read Harder challenge, and I'm so glad I did. I never would have picked it up otherwise. "A FOOD memoir? Ugh." Honestly I had a moment where I wondered how to get around the requirement, but it stuck out at me from the "recommended books in this genre" list. Annia's form of storytelling is one of my favorites: a coherent timeline dotted with memories and stories and various interruptions. It sometimes can make things a little awkward to follow, especially in an audiobook, but I feel like more soul comes through that way. She tucks in little quotes from the people she met or other relevant sources. "What makes us civilized? .... We are the only creatures who share food with strangers, people not from our family or tribe... Cambridge University archaeologist Martin Jones in Feast: Why Humans Share Food." I loved "Before Islam, the word Shariah, the path to God, meant the path to a watering hole." She's completely right that so many memories are tied to food or smells (of food). She mentioned "midwest chicken", and it reminded me that I liked pork rinds (stay with me here) because they first time I tried them I thought they taste like whatever Mom used to spice chicken skin. I actually can't recall what that tastes like, and don't know what she used, but just "midwest chicken" brought that up just the same. This book also had me looking up recipes right at left. She has a collection in the back, most too involved for me to try my terrible hand at, but I wanted to know what they LOOKED like. She is fantastic at describing the presentation of the food as well as the scenes and the people, and I felt I could see them... but food isn't quite the same. I wondered if the printed version has photos. When I reached the time of the 2006 Lebanon War, something I barely knew was happening at the time, I was a little shocked at the...closeness of it all. I submit I didn't actually know, except in hindsight, that it was going on at all. It's terrible. Both to read it, and to have not known it was happening. We see photos all the time, of child soldiers, and hear it really happened, and she witnessed it, and gave it to us, and it was terrible. And I felt terrible for not knowing it happened. While I was reading this book, I happened upon Toufic El Rassi's graphic novel "Arab in America". It was captivating and eye opening, the Lebanese-born-American witnessing all the other side of this coin, the side Annia would have both seen and been a little oblivious to, had she stayed in America. At the end, the author catches a plane to Lebanon in 2006, when Annia's there. Maybe they ran into each other, and talked over cups of Arak. I really went back and forth trying to decide whether or not I should give this book three of four stars. I decided three was probably the most honest answer. I really enjoyed the book and I thoroughly loved aspects of the memoir. There are so many little quotables thrown throughout the memoir, though many of them are not so much Annia's words as they are words belonging to people she is quoting. I think Annia bit off a bit more than this book could chew. It's one part foodie narrative, one part I really went back and forth trying to decide whether or not I should give this book three of four stars. I decided three was probably the most honest answer. I think Annia bit off a bit more than this book could chew. It's one part foodie narrative, one part war narrative, and one part relationship narrative. Though I am sure all these aspects could be melded successfully, I am not fully convinced that Annia was able to do so. The first part of the memoir is heavily centered on food and relationship. She sets up an interesting thesis about food serving as memory and diplomat. But this thesis slowly loses its cohesiveness as the reader gets towards part two of the novel. Quickly, Annia starts to focus a lot more on war than she did in the early part of the novel. Food seems to take a back seat for the rest of the narrative. And even with all of this, I think the most unfortunate thing about this book is how corny and cheesy it gets at points (pun intended). It reads like a Huffington Post fluff piece. Like, HuffPo thought this was too long for their website so they just published a book instead. I sometimes listen to interviews with the authors on NPR, and this book particularly intrigued me. Perhaps it is because the life of the author is the one I believed I was destined to have at one time in my life. Yes, Christiane Amanpour is one of my heroes, and now so is Annia Ciezadlo. Here she was, a fearless and truth seeking modern day war time journalist describing a life I had never dreamed possible - successfully married, having family members living near by, yet somehow living in and un I sometimes listen to interviews with the authors on NPR, and this book particularly intrigued me. Perhaps it is because the life of the author is the one I believed I was destined to have at one time in my life. Yes, Christiane Amanpour is one of my heroes, and now so is Annia Ciezadlo. Here she was, a fearless and truth seeking modern day war time journalist describing a life I had never dreamed possible - successfully married, having family members living near by, yet somehow living in and uncovering the important effects of a war torn society. For the sedate living under a rock anywhere on in the world, Annias story is rich, compelling, raw, and universal. You don't have to know much about the Sunni/Shiite conflict before picking up this read, because the author tells a story of people so beautifully through something we can all relate to - through food. Day of honey, day of onions. The words at first perplexed me, but as I nosed further into her words and her life, I soon became completely enraptured with their meaning in this memoir of food, love, and war. Day of Honey makes me hungry. Not just for the unusual and exotic foods that Annia Ciezadlo describes with an unlimited vocabulary in several languages, but also hungry to explore the customs associated with food, and to peer beneath the layers of politics and war to see the real life going on underneath. Ciezadlo writes, "Food and drink were like truth serum. People would say one thing when you first met them....gradually, bite by bite, they would reveal what they really thought." Even though th Day of Honey makes me hungry. Not just for the unusual and exotic foods that Annia Ciezadlo describes with an unlimited vocabulary in several languages, but also hungry to explore the customs associated with food, and to peer beneath the layers of politics and war to see the real life going on underneath. Ciezadlo writes, "Food and drink were like truth serum. People would say one thing when you first met them....gradually, bite by bite, they would reveal what they really thought." This is a book that suffers from trying to be too many things at once. I found two of the many threads in this book to be particularly interesting: Ciezadlo's insights into how people use food to preserve culture and routine in turbulent times, and her stories of her relationships with those around her, especially her mother-in-law. I wish I had made photocopies of the recipes in the back before I returned it to the library. This book gives an insight into what the people in Lebanon and Iraq do to survive and remain human during the wars in the Mideast. The war is the background of the memoir, but the people, friendships, neighbors, and the sharing of food is in the forefront. Few stories about the Mideast leave you feeling hopeful. I thoroughly enjoyed myself reading this book. It was my favorite read of 2011, and I've been searching for something with such an aesthetically sensory experience since closing the back cover. Food, culture, the real effects of war, political drama, religion vs. cultural changes, couples and family drama, and more food...this book has it all...plus Annia is smart and funny. A woman after my own heart. She dodged gunfire to ensure the pasta didn't over cook. I learned about life in two war zones (Baghdad and Beirut), refined my understanding of the differences in cuisine and personality, and have a snapshot into life as a war correspondent. Annia Ciezadlo is one tough amazing woman and a darn good writer. A war reporter, she spends her honeymoon in Baghdad in the fall of 2003 after marrying a Shiite Muslim from Lebanon she met in New York just before 9/11. The memoir covers the aftermath of invasion of Iraq, as well as the repercussions in Lebanon afterwards and I learned a lot about the precariousness of any peace that catches hold in that region. What I loved about this book is the way it is about everyday people's lives in the m Annia Ciezadlo is one tough amazing woman and a darn good writer. A war reporter, she spends her honeymoon in Baghdad in the fall of 2003 after marrying a Shiite Muslim from Lebanon she met in New York just before 9/11. The memoir covers the aftermath of invasion of Iraq, as well as the repercussions in Lebanon afterwards and I learned a lot about the precariousness of any peace that catches hold in that region. What I loved about this book is the way it is about everyday people's lives in the midst of a conflict--how they create normalcy through cooking and sharing meals. The food narrative did seem strained at times, as if she was reminding herself to bring that element back into the story, when she segues from descriptions of fighting in the streets to lengthy descriptions of preparing a meal. But overall her concept holds that "if you want to understand wars, you have to understand everyday life first." I especially liked her writing about her relationship with her husband and his family, and how they worked out their cultural differences. In an astonishing turnabout, after living several years in Lebanon beginning just before the assassination of Prime Minister Hariri and continuing through the eruption of fighting afterwards, Ciezadlo's husband wants to go go back to New York but she doesn't want to leave the place she now considers home. How she becomes so bonded to a place in the midst of a conflict fascinates me. Ciezadlo has a lovely, wry, self-mocking humor and her writing is honest and funny and tender. The book is both intimate and deeply thoughtful. Her writing is exquisite, as when she describes hamudh, the tea of Iraq: "It looked oily, dense and yellow, like a glass of melted topaz. It tasted musty and bittersweet--an antique taste, like drinking old history books." It can be hard, sometimes, for me to pick up a book about the Middle East. I find it a tough slog to read about violence or intractable problems or war and devastation. This book includes those things, but it is also surprisingly funny, incredibly informative and captivating on so many levels. Ciezadlo will introduce a topic like tribes, for example, and before you know it, you will know more about tribes and sub-tribes than you can imagine, all in the context of a dinner given by a sheik. And in a similar vein, who knew that ancient Mesopotamian recipes were recorded on Sumerian clay tablets? And that a vegetable and meat stew from then is the staple dish in Iraq called "margas" today? I give this book my highest recommendation. I am so very glad I discovered it. In the fall of 2003, Annia Ciezadlo spent her honeymoon in Baghdad. Over the next six years, while living in Baghdad and Beirut, she broke bread with Shiites and Sunnis, warlords and refugees, matriarchs and mullahs. Day of Honey is her memoir of the hunger for food and friendship—a communion that feeds the soul as much as the body in times of war. This is a wonderful novel to read. Who said you can't mix business with pleasure, its all in HOW you do it and author Annia Clezadlo did it well in t In the fall of 2003, Annia Ciezadlo spent her honeymoon in Baghdad. Over the next six years, while living in Baghdad and Beirut, she broke bread with Shiites and Sunnis, warlords and refugees, matriarchs and mullahs. Day of Honey is her memoir of the hunger for food and friendship—a communion that feeds the soul as much as the body in times of war. This is a wonderful novel to read. Who said you can't mix business with pleasure, its all in HOW you do it and author Annia Clezadlo did it well in this book that details the lives and violence of the Middle East. Annia took her passions: reporting and food and integrated them into a novel that provides readers with an vivid outlook upon the political wars of the Middle East and its camaraderie of food that would engage the soul. An eye opener for anyone that missed or was confused by what was going on during that period. The author displays wit and humor throughout the story. The characters she chose to include was interesting to read about such as Layla and Rosa. The authors adjective 'bandicoots' is a burst of laughter and the anticipated celebration of Ramadan by the Muslim without sanctions or Saddam was a time of preparation and celebration for everyone. I especially enjoyed reading about the women of the Middle East. The food, oh the food, there was much. Grape leaves, Puttanesca, makdous, fool ( pronounced as it reads but not what it reads, lol) and so many more exotic dishes from her travels throughout the Middle East. This book not only gives you a story of someone's life during a period of time but the author candidly takes us into the lives of a cultural that one generation talks of a life before the war while the next generation can only imagine that unseen life. While reading take note of the culture difference as a people as well as males and females.. Very interesting topic and an insightful perspective on culture and history that many of us only knew from the surface. I would have ranked it a bit higher, but I didn't fully enjoy the structure of the author's writing. It felt a bit repetitive and muddled in parts. When Annia Ciezadlo started dating a Lebanese man she met in New York, she had no idea how his culture and his family would influence her life. After all, most of Mohamad’s family lived elsewhere, in Lebanon, France and Spain. But when Newsday appointed Mohamad chief of its Middle East bureau, he wanted to be stationed in Beirut, and Annia moved with him. Soon they were both in Iraq, Mohamad reporting and Annia working as a freelance writer. 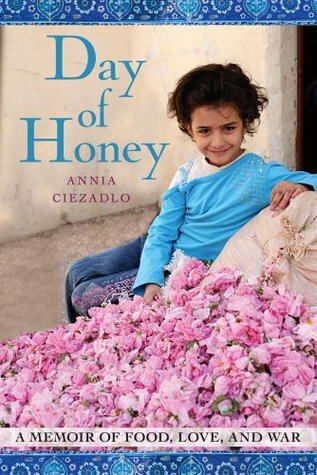 Annia’s story, Day of Honey: A Memoir of Food, Love, A When Annia Ciezadlo started dating a Lebanese man she met in New York, she had no idea how his culture and his family would influence her life. After all, most of Mohamad’s family lived elsewhere, in Lebanon, France and Spain. But when Newsday appointed Mohamad chief of its Middle East bureau, he wanted to be stationed in Beirut, and Annia moved with him. Soon they were both in Iraq, Mohamad reporting and Annia working as a freelance writer. Annia’s story, Day of Honey: A Memoir of Food, Love, And War talks about their days living there and the subsequent years they spent back in Beirut. A girl from the Midwest, Annia saw importance in food from the time she was very young. She eats anything, which is part of what makes her account so fascinating. While Annia’s story takes place in war zones, her story is not about the conflicts themselves as much as it is about the people that experience it. How do they live, how do they eat, and how do they comfort themselves amid the uncertainty and violence? The people she befriends, the people she interviews for stories, all experience loss and deprivation, yet they carry on in ways that people have probably been carrying on from the beginning of conflict—with food, with friends and family, and with hope for the future. As Annia meets Mohamad’s family and gets to know them, eventually even learning how to cook traditional Lebanese foods from his mother, she also confronts what it is about herself that makes her crave life in a war zone. Her descriptions of the conflicts she finds herself in the middle of and recent histories there are interesting. It’s a fascinating account of a place and a time that few of us have experienced outside of news stories. A bonus with Day of Honey is all the recipes in the back—nearly 20 of them that you’ll be eager to try so you can bring a taste of the Middle East into your own kitchen. Ciezadlo's crowded, thoughtful, fragrant memoir of her life as a newlywed in Baghdad and later Beirut is loud with bombings and ends with recipes. This is a memoir of everyday life in several middle eastern war zones, where people turn to their food traditions to counter the constant threat of death around every corner. At one point in the book, Ciezadlo makes dinner for her husband and refugee guests while a sniper takes shots from their apartment roof. The recipe is in the back of the book. Thi Ciezadlo's crowded, thoughtful, fragrant memoir of her life as a newlywed in Baghdad and later Beirut is loud with bombings and ends with recipes. This is a memoir of everyday life in several middle eastern war zones, where people turn to their food traditions to counter the constant threat of death around every corner. At one point in the book, Ciezadlo makes dinner for her husband and refugee guests while a sniper takes shots from their apartment roof. The recipe is in the back of the book. This book is about the survival of families, neighborhoods, traditions, and foodways. She learns to cook on hot plates in vermin-infested hotels, finds the real Iraqi food traditions beyond pale restaurant imitations, and learns the nuances of a 10,000 year old culture in the process. There is a point where she has fallen in love with the culture so much that she decides to stay in a very dangerous area long after even her husband has left for New York, and she has to choose between her head and her heart. It's the core of the book, really; the complete irrationality of war juxtaposed with everyday human living, and how easy it is to believe that everything will be fine if there's a good meal to be made. She explains the political conflict well and helps us understand Sunni vs. Shiite, the different warring factions and the way loyalties can change instantly with the ever-shifting power, but the truth of the book is in the everyday people she introduces. The ‘Day of Honey’ is neither a cookbook nor a travel book: it is a free of stereotypes journey through the cultures of the Middle East, from Lebanon to Iraq and back to New York city. In a very tensed world, facing wars and violence, food is the only recipe for peace and dialogue. It is a book that should be included in the list of the compulsory bibliography of any diplomat ready to enter the real world of wars and peace between the nations. Being able to eat is part of the basic survival, but The ‘Day of Honey’ is neither a cookbook nor a travel book: it is a free of stereotypes journey through the cultures of the Middle East, from Lebanon to Iraq and back to New York city. In a very tensed world, facing wars and violence, food is the only recipe for peace and dialogue. It is a book that should be included in the list of the compulsory bibliography of any diplomat ready to enter the real world of wars and peace between the nations. Being able to eat is part of the basic survival, but sharing the food is the art of the conversation between the cultures. The dialogue around the table goes far beyond the global level and focus on the very person and human communication: if you love your children you give them food good food. If you want a future for them, you plant the seeds of the new harvest and do your best for avoiding as much as possible the possibility of avoiding the causes of destruction of your harvest. It could be life threatening effort to try changing a society manipulated by war thugs and fanatic leaders, but at least you can hope that when the war is over you do not forget how to broke bread around the dinner table. This could be more available for Lebanon whose South was and is extensively used as a war area by the terrorist Hizbullah who does not put any price on the life of their own people. Food as a way of taking your mind off war. Food as a way of learning about history. Food as a way of connecting with your mother-in-law. I know this all has been done before, and yet I absolutely loved this book. It made me wish I could travel to Beirut and Baghdad, for the way Lebanese bake bread, for the way Iraqis grill fish. The politics of Lebanon were still hard to sort out, but the geek in me enjoyed the brief digressions into how Akkadians baked bread, how dismissive other Middle Eastern Food as a way of taking your mind off war. Food as a way of learning about history. Food as a way of connecting with your mother-in-law. I know this all has been done before, and yet I absolutely loved this book. It made me wish I could travel to Beirut and Baghdad, for the way Lebanese bake bread, for the way Iraqis grill fish. The politics of Lebanon were still hard to sort out, but the geek in me enjoyed the brief digressions into how Akkadians baked bread, how dismissive other Middle Easterners can be of Iraqi cuisine (the way people used to mock English food? ), and how the author researched an old story about a woman who cooked stones with salt on them to stave off her children's hunger. "Real midwestern food tasted like foxfire and sassafras, primeval forests, and wild spicy meadows of black-eyed Susans and Queen Anne's lace." "Next time you order chicken tandoori at an Indian restaurant, chew on this: you are speaing a word that human mouths have been pronouncing, in one form or another, for at least four thousand years." "[The tea] looked oily, dense and yellow, like a glass of melted topaz." "Her [the author's mother-in-law's] other favorite expression was . . . 'it makes no difference to me.' This meant that deep, violent opinions were being suppressed through superhuman exertion on her part." "In wartime, shopping becomes a Darwinian exercise in amassing the most calories in the least amount of time. Beirutis were so practiced at this adrenaline-driven combat shopping that they could do it without even losing their sense of style." A wonderful read. For all us us in the US who don't appreciate living in a relatively stable situation, I highly recommend this memoir. Gives a needed view of life in Iraq, Lebanon and other related areas. From Amazon: IN THE FALL OF 2003, AS IRAQ DESCENDED INTO CIVIL WAR, Annia Ciezadlo spent her honeymoon in Baghdad. For the next six years, she lived in Baghdad and Beirut, where she dodged bullets during sectarian street battles, chronicled the Arab world’s first peaceful revolution, and watch A wonderful read. For all us us in the US who don't appreciate living in a relatively stable situation, I highly recommend this memoir. Gives a needed view of life in Iraq, Lebanon and other related areas. From Amazon: IN THE FALL OF 2003, AS IRAQ DESCENDED INTO CIVIL WAR, Annia Ciezadlo spent her honeymoon in Baghdad. For the next six years, she lived in Baghdad and Beirut, where she dodged bullets during sectarian street battles, chronicled the Arab world’s first peaceful revolution, and watched Hezbollah commandos invade her Beirut neighborhood. Throughout all of it, she broke bread with Sunnis and Shiites, warlords and refugees, matriarchs and mullahs. Day of Honey is her story of the hunger for food and friendship during wartime—a communion that feeds the soul as much as the body. In lush, fiercely intelligent prose, Ciezadlo uses food and the rituals of eating to uncover a vibrant Middle East most Americans never see. We get to know people like Roaa, a young Kurdish woman whose world shrinks under occupation to her own kitchen walls; Abu Rifaat, a Baghdad book lover who spends his days eavesdropping in the ancient city’s legendary cafÉs; and the unforgettable Umm Hassane, Ciezadlo’s sardonic Lebanese mother-in-law, who teaches her to cook rare family recipes (included in a mouthwatering appendix of Middle Eastern comfort food). From dinner in downtown Beirut to underground book clubs in Baghdad, Day of Honey is a profound exploration of everyday survival—a moving testament to the power of love and generosity to transcend the misery of war. This is a book of personal love, family connections, the history of how food connects us, and the modern conflicts in Iraq and Lebanon. The focus is personal and everyday. Annia is comforted and inspir...ed by food and let’s face it who isn’t? From her interest and love of people and food she introduces us to many middle-eastern people and delicious dishes. You start to care for these people and want to learn more about them and she does a wonderful job of explaining the modern political conflic This is a book of personal love, family connections, the history of how food connects us, and the modern conflicts in Iraq and Lebanon. The focus is personal and everyday. Annia is comforted and inspir...ed by food and let’s face it who isn’t? From her interest and love of people and food she introduces us to many middle-eastern people and delicious dishes. You start to care for these people and want to learn more about them and she does a wonderful job of explaining the modern political conflicts in a way that stays relevant to the lives of the people. For example I am grateful to have learned the difference between Shiite and Sunni Muslims and sort of why that distention has been important in recent fighting. Annia Ciezadlo is an American journalist married to an American war correspondent of Lebanese origin. Mohamad's parents sent him from war-torn Beirut to New York to live with his brother when he was 10. Annia was raised by a single mother. Material possessions were few, but they always had food - great, home cooked, adventurous food. Annia also talks about spending time with her Greek grandmother in her kitchen. The happiest times in her life involved cooking and that has been the foundation of Annia Ciezadlo is an American journalist married to an American war correspondent of Lebanese origin. Mohamad's parents sent him from war-torn Beirut to New York to live with his brother when he was 10. Annia was raised by a single mother. Material possessions were few, but they always had food - great, home cooked, adventurous food. Annia also talks about spending time with her Greek grandmother in her kitchen. The happiest times in her life involved cooking and that has been the foundation of her life in adulthood. Day of Honey combines this cuisine centric life with the unsettling life of journalists living in war zones in the Middle East. It provided a glimpse of the daily lives of people living in Iraq and Lebanon while bombs went off in their neighbourhoods. It's especially meaningful to write this review on the day when Syria reaches an agreement with the rebels in Aleppo. They get free passage, but the outcome for the survivors in Aleppo is unknown. This memorist knew how to use the journalistic angle to get the most of the story. The story was not about her. She was the catalyst for those affected by war to tell their stories. She had the opportunity many times to emphasize her chaotic teenage years, and how she perceived the world as a result. However, when I finished this book I realized that she didn't add the story of her upbringing to say it was the reason why she empathized with others in chaotic situations, it was more a way to just This memorist knew how to use the journalistic angle to get the most of the story. The story was not about her. She was the catalyst for those affected by war to tell their stories. She had the opportunity many times to emphasize her chaotic teenage years, and how she perceived the world as a result. However, when I finished this book I realized that she didn't add the story of her upbringing to say it was the reason why she empathized with others in chaotic situations, it was more a way to just introduce herself, and then move on to other people. The scenes are about food, but the book is about how people live through war. It is definitely a book about war first and foremost. The way she was able to write it gave the reader permission to feel empathy for the characters within a scene. She introduced the scene, and then effectively removed herself. Each person she introduced was a complete story-they had depth. Would I read this again: No, but not because I didn't like it. It's more because there are so many books to read. I may try the recipes.